We really can’t believe how quickly this year is galloping on – but we’re keeping up with it and getting ourselves ready to welcome you to our family home and gardens a little later in the year! Katie and Catriona have been busy reviving the gardens from their long winter sleep and we plan that by the 22nd, it will be a delight of lush Springtime beauty. Our small but fascinating museum has been re-jigged and some beautiful historical items have been brought down from the attic and given a good polish – everything is gleaming, inside and out! And over the next few weeks, we’ll be dusting off our wonderful Guides, who will then be ready to delight you with their stock of amusing anecdotes and quirky facts about the history and busy modern day life at Fursdon. We have a new face in the office too! Becky has joined us to help keep everything in order and being a local lass, has lots of invaluable mid-Devon knowledge to bring to her role. 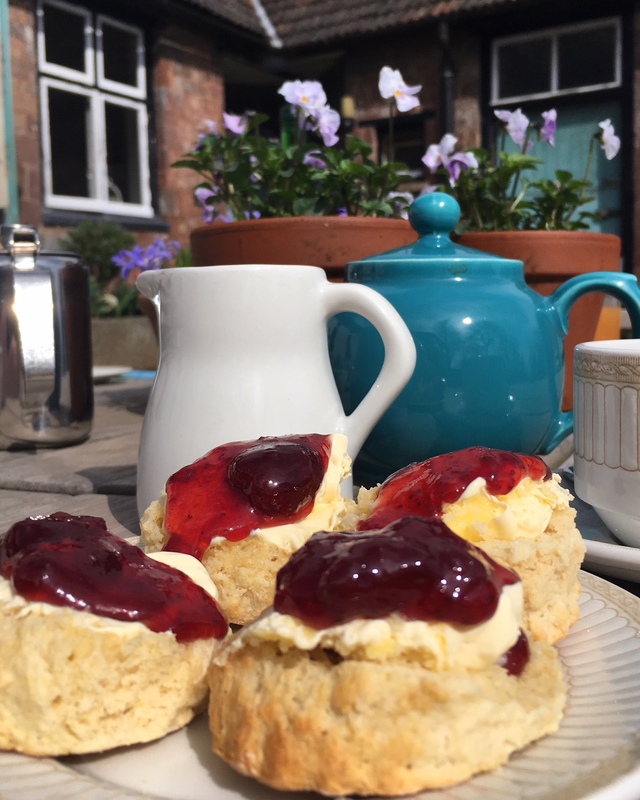 One of her most testing first jobs was to quality control our cream tea provision and we are delighted to report that it was deemed ‘probably the best she’d ever eaten’ – and coming from a Devon girl brought up almost exclusively on cream teas, this is high praise indeed!